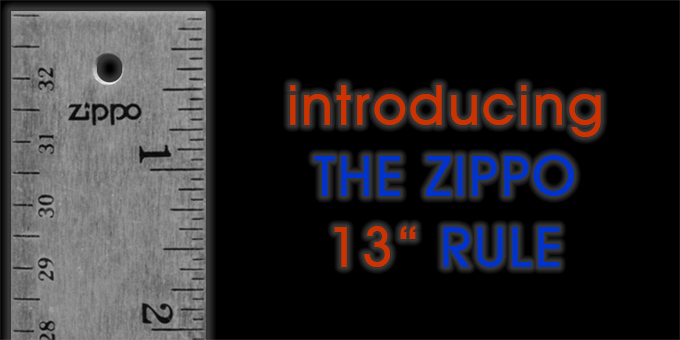 In 1981 the Zippo Manufacturing Company added the 13" rule to the product line, a chrome plated and satin finished solid brass straight edge. 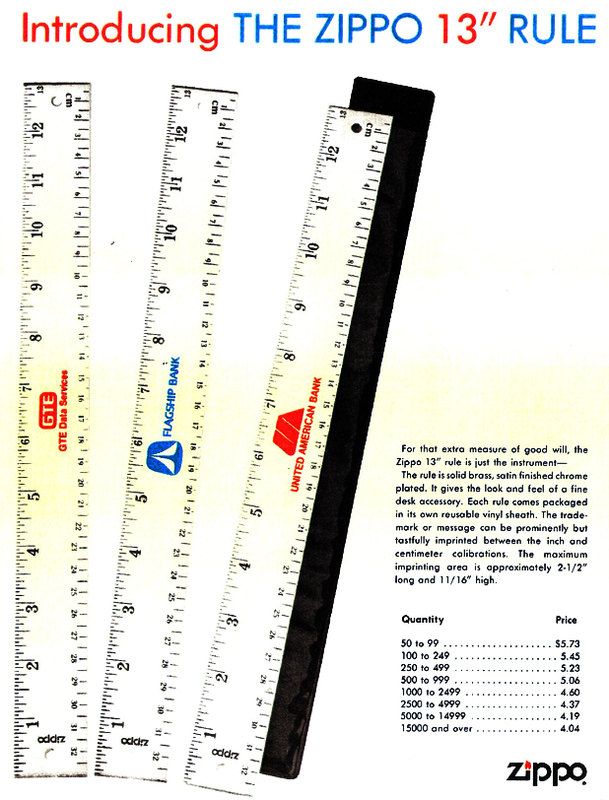 These rules had two calibrations - inches and centimeters - like optional on the 6feet steel blades of the Zippo tape measure since 1967 and could be ordered from Zippo's Advertising Specialty Devision with individualized logos imprinted in the center in a maximum size of 2 1/2" to 1 1/16". 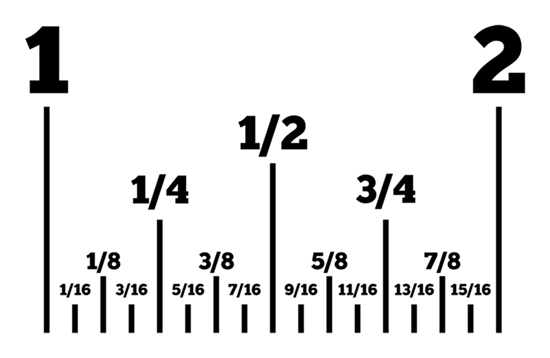 Note the size of the marking for the 6th & 7th inch are imprinted in a smaller font size than the other marking in order to provide a bigger imprintable space. In addition to the zip-apart keychain (mid 1971 through mid 1972) and the out-a-matic ashtray (mid 1970 through early 1972) these rules are among Zippo's non-lighter products that were only available for a very short time, only a few months in 1981 to be precise. Within the first few months of production Zippo discovered that the calibration was off and did not match the company's quality standard. 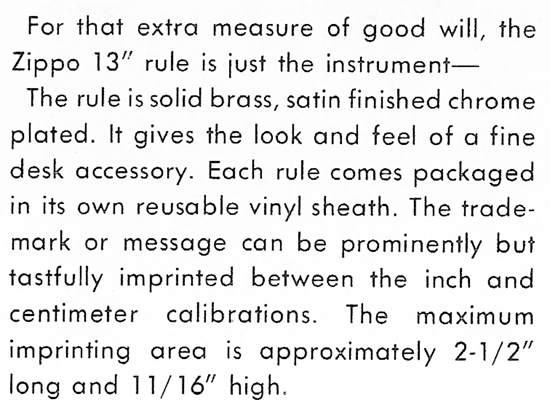 In the 1990's 12" and 6" rules were produced but never offered to public. They were made from thinner brass stock and had a cork backing.